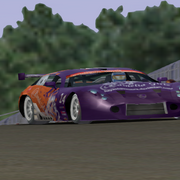 This is a new skin for LS2 - Condor C400R driven by Patrick Rolen regular Speed Dreams driver. Everything made by me is Creative Commons Licensed. 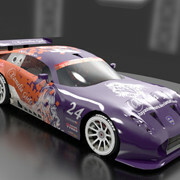 It was made representing an alternative version of the outstanding work made by Haruna. I tried to keep all the original elements, adding some "standards" that I use in my liveries. 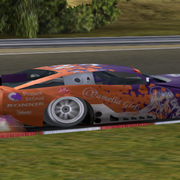 I also reworked the original gradient of the car, making a flying squares effect. I liked it. The preview scene rendered with Blender Cycles. Hope you enjoy. 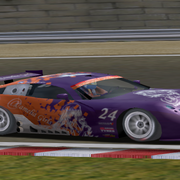 I'll start to make some liveries alterations to not use registered marks in all done liveries. Then I'll paint the missing cars. Let's work on them! Nice work on the liveries. Keep it up. I still check in here once a week or so. I want to keep everyone motivated to keep working on SD.